Sharp-eyed visitors may have noticed that a Search facility has recently been added to our site. It is located at the top of the right-hand sidebar of each page. When you enter a search term and hit return or the Looking Glass, the full text of every page and post is searched for the word you enter. Try, for example, butterflies or compost or BBQ. Please let me know if you run into any problems. Please be advised that a quantity of 13’ scaffold boards have been sourced for use by plot holders. They are in very good condition and are available immediatel. In the first instance there is to be a limit of 4 boards per plot holder to ensure a fair distribution. In the event that the demand is limited, greater quantities will be considered. If you are interested please contact Ron Stephen(Plot 65A) on 07818413999 and we will arrange for delivery to your respective plots. Copies of the catalogue and code are now available in the Octagon. The new code replaces the old one which is now no longer usable. Email me if you’d like the code without having to visit the Octagon. The scheme operates as before. Repeated orders can be placed throughout the year. Plotters get 40% off seed orders and 10% off everything else. Orders are delivered directly to the individual. Orders can be placed by post using the form provided, or by telephone or online, but you must use the code at the time of ordering – retrospective claims are not allowed. In addition, GFAA gets a 10% return on all orders placed. Please remember, this is Dobies the seed merchant and not Dobbies the Garden Centre chain, so the discount is not available locally. Believe me, I’ve tried – all very embarrassing! Thanks go to Sonya )Plot 97B) for suggesting this post. 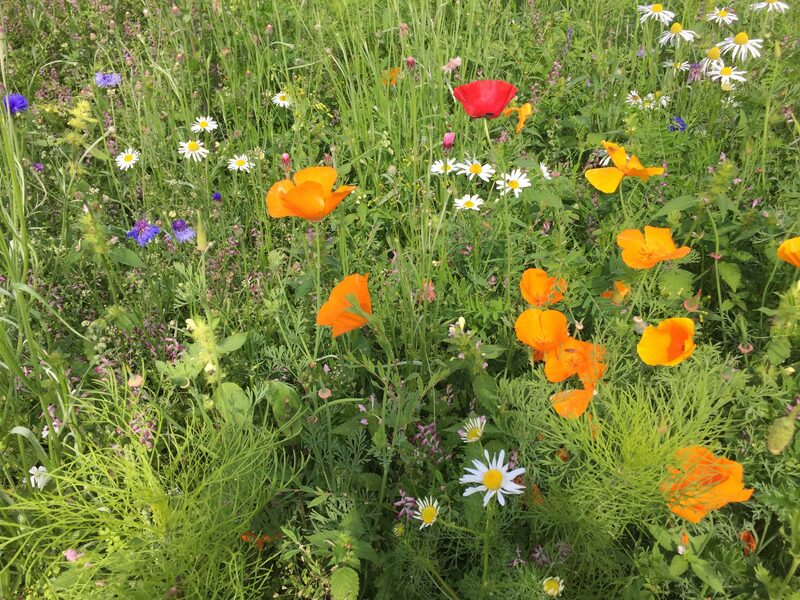 This citizen science research project gives details of 14 pollinator-friendly flowers and invites participants to monitor plants and visitors in a set square of their plot. Follow this link to the POMS website. Thanks go to Ranald (Plot 75) for bringing this advice from Scottish Water to our attention. Scottish Water is asking customers to use water wisely in their daily activities to help maintain supplies during the current period of hot summer weather. Following a sustained dry period without any significant rainfall, customer usage has increased significantly. With the current weather conditions forecast to continue, Scottish Water is encouraging people to take simple but important steps to conserve our public water supplies. In some areas, there has been a 30% increase in demand for water during the summer so far and an additional 140 million litres are currently being produced and pushed through the system every day to meet current customer usage. Scottish Water has been monitoring the situation closely and managing supplies across the country, including deploying additional resources to move water between distribution areas and tankering water to supplement local networks. Some water treatment works and distribution networks are working at near capacity to meet demand. Average reservoir levels are generally normal for this time of year but the current level of usage and continuing dry weather means stocks of stored water available for use are reducing. Plotters are asked to take note. Using a watering can rather than a hose helps put the water where it needs to be. Please note that the use of sprinkler devices and systems that water whole areas of plots rather than specific plants is not appropriate. Your cooperation is appreciated. As plotters, we all know the importance of encouraging insect pollinators. The RHS Garden Magazine for July has an interesting article by Kate Bradbury recommending plants from seeds that can give pollinators a big boost. Many of these are to be seen on our plots and site. Can anyone comment or suggest alternatives? Back copies of RHS Gardening (and other mags) are available in the Octagon.